A 4th generation Zinn himself, Alan jump-starts each job in the plant by ripping all necessary lumber while also ensuring each jobs completion in the hardware department before it leaves the plant. We have 3 generations of Zinn’s currently working in the plant and office. We take special pride in doing something well that represents our name. You can find Janet installing drawers, pullout shelves, and pull out waste baskets in your cabinets. She also specializes in glazing for the finish room. 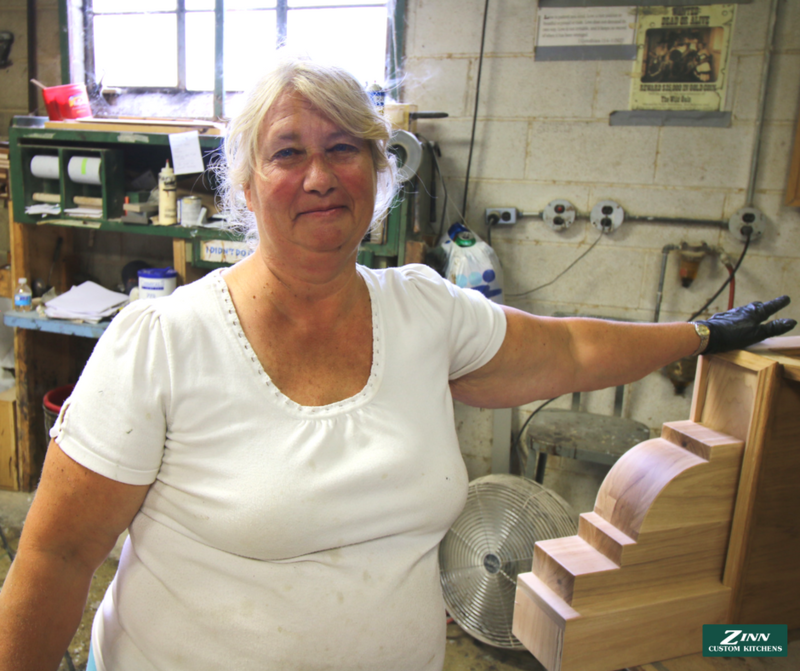 Mary works in our finish room. She begins our finish process by mixing stain and applying it to your cabinets. We focus our efforts on finishes that are aesthetically pleasing to the eye, while also ensuring it’s durable and protects your cabinets from wear and tear. Although he’s been semi-retired for the better part of the last decade Dale has been an integral part of the company moving forward during that time. 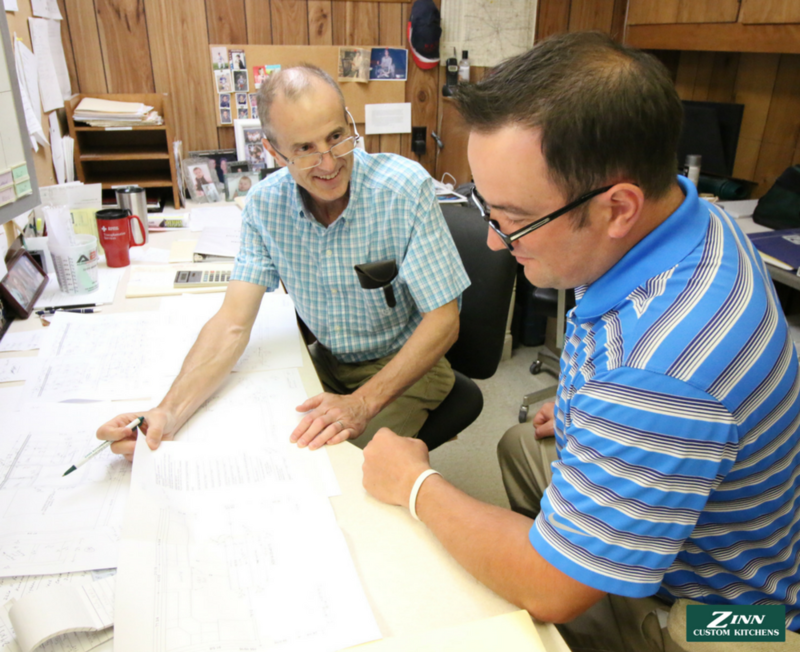 A son of the founder, Dale has been with Zinn’s for the past 60+ years and continues to give sage advice to the company. Richard can be found in our building department. Taking the time to make sure each cabinet is built as intended and with the quality that our customers have come to expect makes Richard very good at what he does. You can find Sam in our drawer department making sure every drawer and pullout is built with excellence and as envisioned by our clients. Dane works in our panel department setting up our builders with all the pieces they’ll need. Weather it’s drilling adjustable peg-holes for shelving or plowing rails for partitions, Dane does a little bit of everything. One of our longer tenured members in the plant, John is in our building department and focuses on custom hoods, lazy susans, and other specialty cabinets. Andy is not only our current president but also our Shop Foreman. Formulating cut lists and figuring out how to turn design into reality is Andy’s challenge each and every day. Donna works in our finish room and delivers the final piece of the cabinet process puzzle as our top coating specialist. The top coat ensures the long term viability of the cabinet finish and also creates the visual quality that our clients expect.